Things that we all thought were the way of the future ten years ago are now obsolete and the technological evolution has only just begun. Within the past 5 years, we have seen communicative advancements such as the forever adapting social media machine. Myspace died and made room for Facebook. Facebook stepped aside and the popularity of Instagram and Twitter soared. And now even though Facebook and Twitter still remain relevant, things like Instagram and Snapchat have become all the more prevalent. Overall, the way that our society communicates with one another has become more short-formed and fast paced. This concept is extremely applicable to the SMS marketing world. Today, people respond to specific kinds of text messages more than they do others. Text messages that contained simple textual content and a URL had a higher success rate in the past, but today people want more. Potential clients want images and graphics directly in their messages, otherwise they are not as inclined to respond to the campaign in the long run. We’ve discussed the beauty of our MMS feature in the past here at Lime Cellular, but it got all the more advantageous within the past few weeks. As you can see, GIFs really are the newest and most effective form of communication to date. In terms of the SMS marketing world, GIFs can get your message across to any audience in a much more successful way. Here is a great example of an animated GIF being sent in an MMS campaign in order to spread the word about a sale going on at a retail store. This kind of animation will stand out to any and all clientele which will then, in turn, lead to a more successful MMS campaign and eventually convert into sales for all businesses. So what are you waiting for? 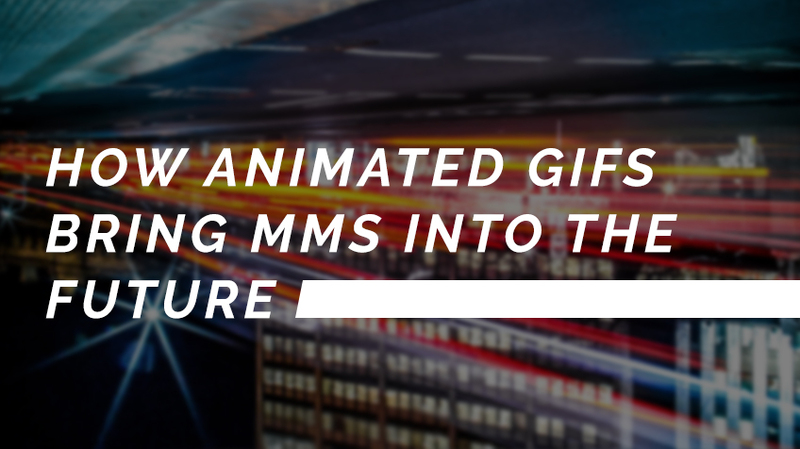 Get creative with your MMS marketing campaigns and take advantage of our new GIF capabilities!